From what I could find online, these were released recently (16th October!) They are stick based snacks, with the main ingredients being flour, corn grits, and salmon powder from Hokkaido. To me, the picture on the packaging looks more like a dog treat than a snack I would pick out for myself, but whatever floats your boat! I feel like I’ve seen these before, but they really took pride of place on the shelf at 7-11 so perhaps I just noticed them more than usual. 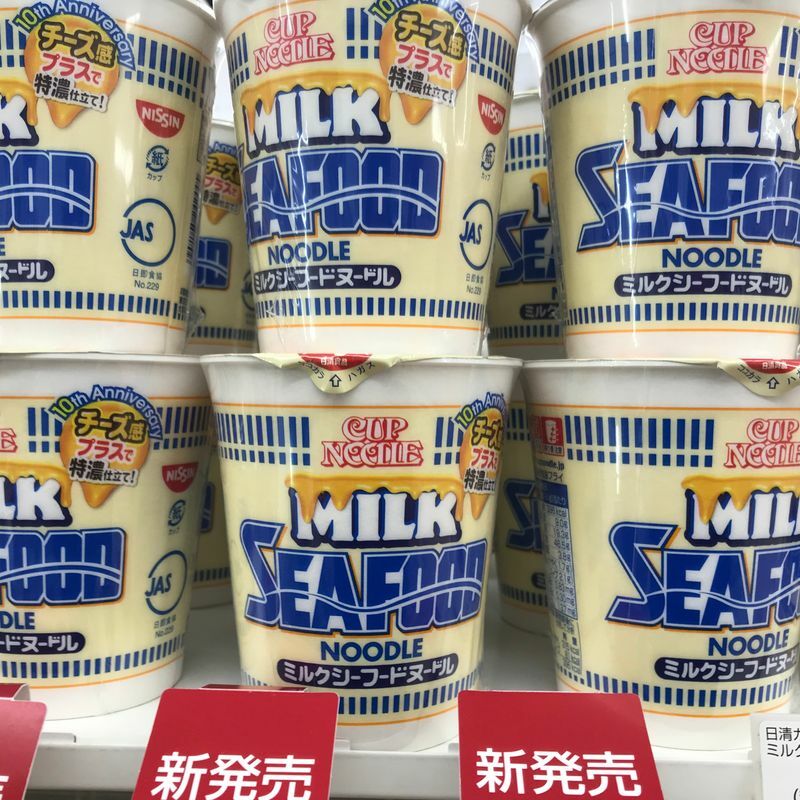 Milk Seafood might just be a lost in translation thing (creamy seafood sounds much less off-putting) but this one is a hard no from me. 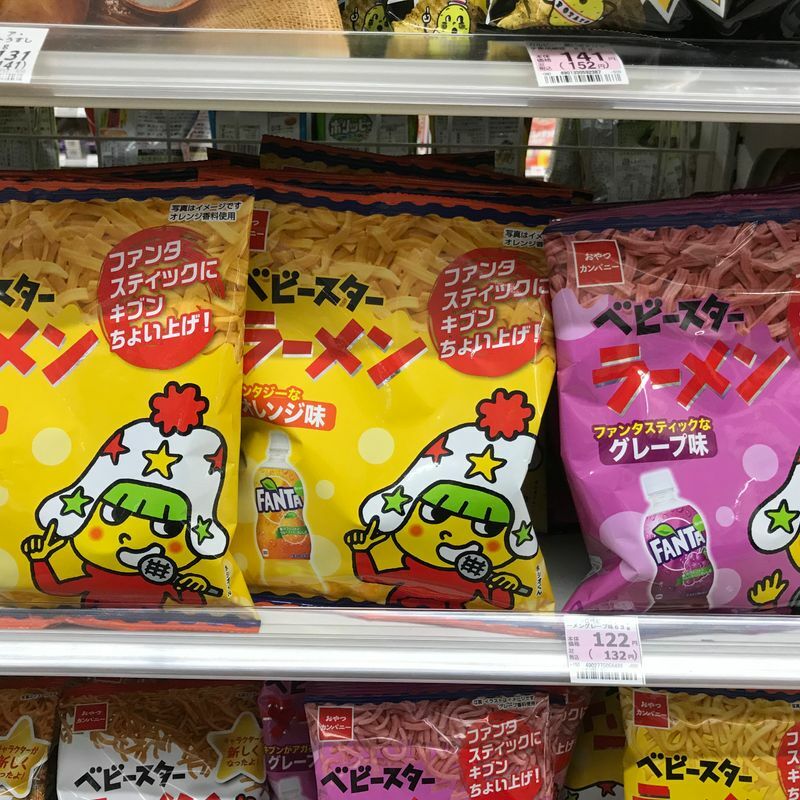 Ramen chips sound interesting, but Orange and Grape Fanta varieties of chips? Yikes! 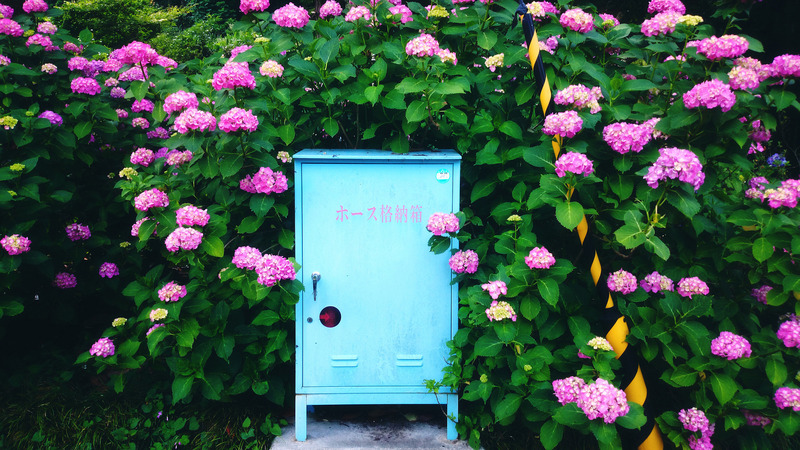 I feel like these would be perfect additions to care packages back home, for any friends or family who are into the weird and wacky side of Japan. In fact, I think everything I mentioned here would be a fun addition to send home! Haha, agreed, these all seem gross. 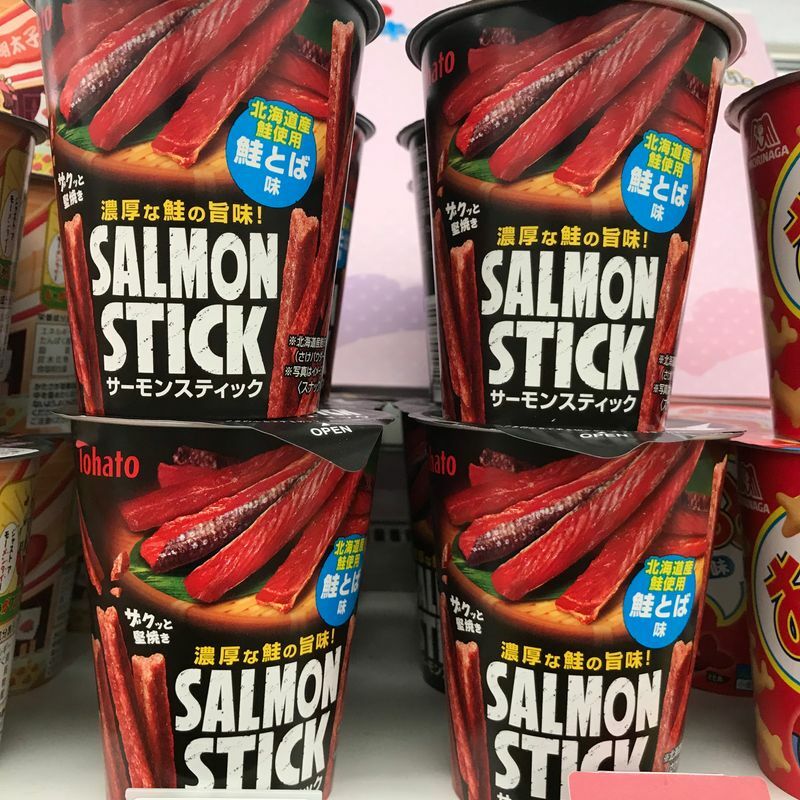 At first I thought the salmon stick was salmon jerky (which I've had in the NW states, and it's really good), but it's like a cheap corn snack, ugh. I wonder if the cup noodle is supposed to be showcasing Hokkaido flavors or something. The flavors of chips here never cease to be entertaining. omg i saw the fanta ones yesterday and almost bought them because ew gross. decided not to, but if i see them again ill try them and let you know how bad they are!